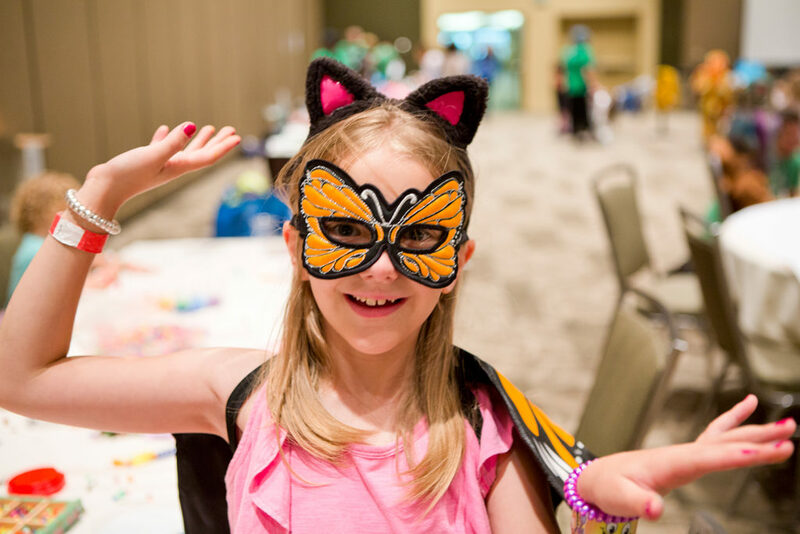 Come have fun at the Gender Odyssey Kids Day Camp while your parents are in workshops. Join in all kinds of fun games and activities—theater, dance, art, music, scavenger hunts, costume parades—the list goes on! See old friends or make new ones! Dig into your workshops while your kids are having fun and are well supervised nearby. Our camp coordinators are CPR certified, have completed an extensive background check, and will be present at all times to supervise each day’s activities. Kids Day Camp hours of operation will coincide with Family programming to optimize parents’ ability to freely attend sessions and presentations. Minimum child age is 4-years-old, and potty-trained. Tween campers will enjoy activities designed just for them as well as have access to several workshops in the Youth Program that may be of interest. There is no charge for Kids Camp attendees, but we will gratefully accept donations while registering online or at the door to offset expenses such as snacks, supplies and beverages. The suggested donation is $25 per child, per day.